Piedmont’s purpose to make a positive difference in every life we touch is our Promise, and it governs our delivery of holistic patient-centric care. And we keep this promise every day. From our patients and their families, to our employees, volunteers, vendors and communities – making a positive difference is not just what we do, it’s who we are. Our team is committed to a common set of priorities aimed at creating a one-of-a-kind experience that always puts the patient first. Our culture is collaborative, respectful, and inclusive; encouraging accountability. Demonstrating our values in all that we do not only supports our team, but results in improved patient outcomes; paving the way for the next generation of healthcare. Offering a one-of-a-kind patient experience begins with our team, so we utilize clear metrics to drive and measure employee experience. To be champions of patient-centered care. To exemplify teamwork and connections. Patient access to exceptional care in appropriate settings drives system growth at Piedmont. 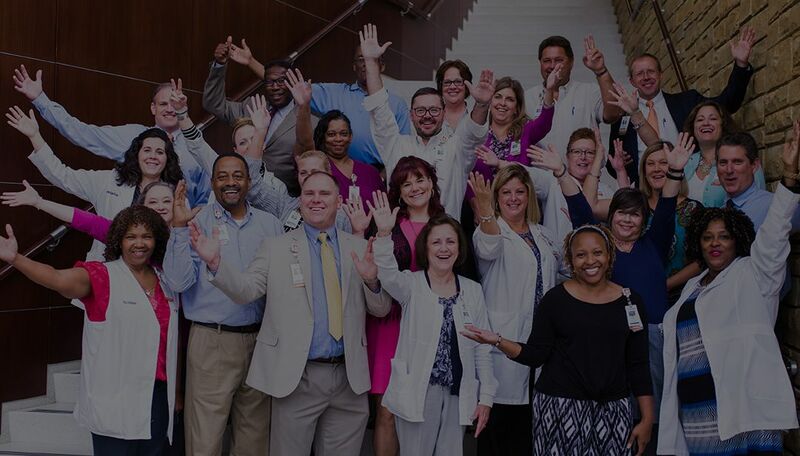 With eleven hospitals and more than 100 outpatient centers and physician practices across Metro Atlanta and North Georgia, we offer every level of care to our diverse communities. Our multiple locations also serve our people well, enabling them to practice their passion where they’re most comfortable. From urban, suburban and rural communities to fast-paced large hospitals and small clinics, you’ll find your place at Piedmont. "I come to work and I am revitalized. At the end of the day, I walk out the door and I feel like I have done something great for someone." Caring for people and communities isn’t about winning awards. It’s about dedicated men and women healing others and helping them live healthier, happier lives. Our focus has always been on our patients and their families – and others have noticed. We have earned an impressive array of recognition and accolades throughout our 100-year history. Today, many of our clinical programs are amongst the highest performing in the country. And The Atlanta Journal-Constitution recently named Piedmont Healthcare as one of the Top Workplaces. Piedmont is seeking Medical Professionals in a variety of roles! Join us at our upcoming recruiting events!